The specific project comes to address NEETs and youth unemployment through the development of social entrepreneurship, making it an alternative for unemployed youth. 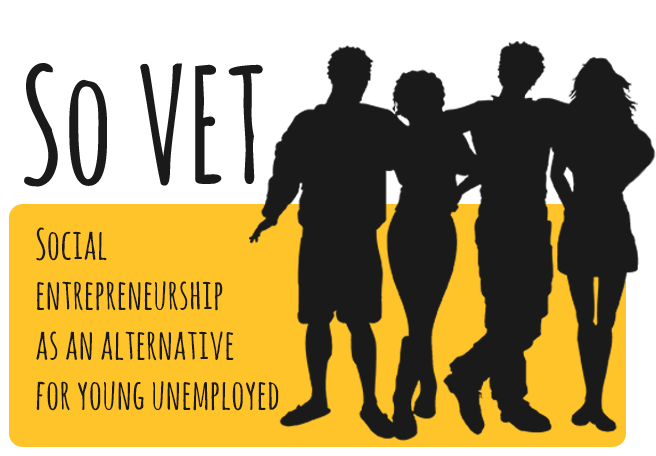 The main objective of the project is to upgrade and enhance VET in terms of social entrepreneurship to provide more effective and efficient courses in the subject and to increase the participation and activation of youth in terms of social entrepreneurship, thus decreasing the level of dormancy that exists among NEETs and decreasing the level of unemployment. It is extremely difficult for young people without a formal education that are not in employment and education to find a job. However, even without formal training or labour market experience, youth people do gather competences. Globalisation, demographic change, technological advances and the financial crisis have created major challenges for today’s societies. Individuals have to confront rapidly changing data and to learn how to keep up with these changes and advancement. In order to function well in this “new” diverse world, the need for adaptability is no longer a choice. It is vitally necessary that individuals develop competences in a wide range of fields, which will allow them to adapt to the evolution and the changing environment. It is necessary for NEETs to gain the necessary knowledge, skills and competences through VAT in terms of social entrepreneurship, a field that is gaining high interest and which can provide as a means to exit the crisis. The first target group is Young people with a specific focus on the NEET group. The term NEET is used to describe young people who are not engaged in any form of employment, education or training. This target groups is the most significant group as the tools and outputs developed will be piloted to this group, who will also be evaluating the effectiveness and efficiency of the Curriculum. The second target group is trainers and teachers in VET institutions in each of the participating countries who will be brought together in workshops. These VET trainers will be trained in the use and implementation of the Curriculum for the development and enhancement of entrepreneurial skills in low-skilled and unemployed youth. They will be able to then apply this knowledge and tools to their classrooms and train youth on how to develop their skills and enter the labour market and the social entrepreneurial sector by making full use of their acquired skills. Needs analysis report: Need analysis report in each country to determine the existing situation with regards to vocational education and training and the existing courses on social entrepreneurship. Curriculum for Young Entrepreneurs. refers to the knowledge and skills youth are expected to learn, the learning standards or learning objectives they are expected to meet; the units and lessons that teachers teach; the assignments and projects given to students; the books, materials, videos, presentations, and readings used in a course; and the tests, assessments, and other methods used to evaluate student learning. Pilot implementation of the Curriculum for Young Entrepreneurs to young persons without formal qualifications and/or work experience. Each workshop will involve at least 5-8 participants. E learning platform. It will be developed for the needs of the project, where the young unemployed will be able to attend the pilot on-line courses. Training activities through mobilities will be implemented where VET trainers will be expected to participate from all participating countries. During these training activities the trainers will be educated and trained on the use and implementation of the curriculum previously developed.